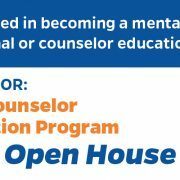 Dr. Karin Fields is a license mental health counselor in the state of Florida and a graduate from the our own Counselor Education doctoral program. 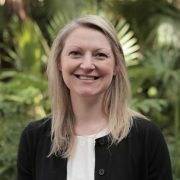 For the last 10 years, Dr. Fields has managed a thriving private counseling practice in Gainesville where she specialized in working with children, teens, and families. TOPICS: Application Information & Deadlines, Program Courses and Hours, Licensing, and More! Several counselor education students and faculty attended the American Counseling Association (ACA) 2018 Convention in Atlanta, Georgia. Mercedes Machado is the recipient of the 2018 Association for Multicultural Counseling & Development (AMCD) research grant. One faculty member and two students have been elected as officers of the Florida Association for Lesbian Gay Bisexual and Transgender Issues in Counseling (FALGBTIC). The Association for Multicultural Counseling and Development (AMCD) recognized Dr. Shon D. Smith with the Samuel H. Johnson Distinguished Service Award. Emi is an exceptional scholar and a skilled and dedicated professional that is licensed as both a mental health counselor and a marriage and family therapist.